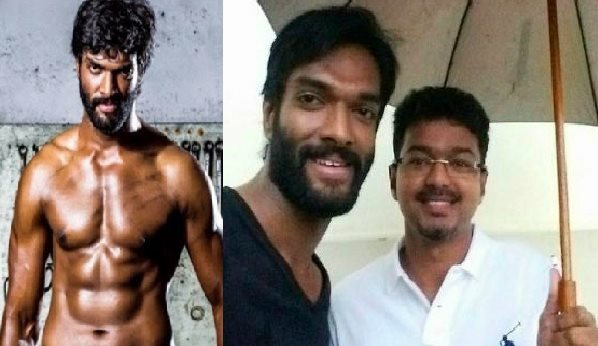 Actor Charandeep, who has teamed up with Tamil superstar Vijay for the second time in the upcoming film "Puli", says the latter's encouragement on the sets gave him confidence to perform well. "Vijay sir has no need to take the effort to help, but he did while working in 'Puli'. Despite being a superstar, he helped me with my lines. He explained patiently how differently and effectively I can mouth my dialogues," Charandeep, who had previously worked in last year's Tamil blockbuster "Jilla" with Vijay, told. "The way he encouraged gave me the confidence to perform well. I've worked with so many actors, but nobody has been as encouraging as him," he added. In the movie, Charandeep plays an important role and even has a combination scene with Vijay and Shruti Haasan. "He had been encouraging me since we worked on 'Jilla'. He had told me that I'd make a great villain in Tamil industry as there is dearth of local villains. And since I'm quite young; he wanted me to focus on doing more films in the language," he said. According to Charandeep, "Puli" can be considered Tamil cinema's own "Baahubali". "The movie will be a visual treat. The makers have spent lavishly on the sets and the production value is top notch," he said. While remaining tight-lipped about his character, Charandeep said the audience will get to see a Vijay they haven't seen before. "The movie will be totally different from what Vijay sir has done in his career. It will be as commercial as any of his films, but at the same time it will stand out as an experimental project," he added. Charandeep shot his portion on a hill station called Vagamon in Kerala. Directed by Chimbu Devan, the film is currently in its final leg of shooting in Thalakonam, a place near Tirupati. The film also features Hansika Motwani and Sridevi in important roles.